Informative, candid and trusted, book reviews by our own book experts are unique to Lovereading. But within our loyal members and browsers of Lovereading are also prolific readers with years of experience and a real passion for sharing their love of books. So, we decided to invite them to join the Lovereading Reader Review Panel. 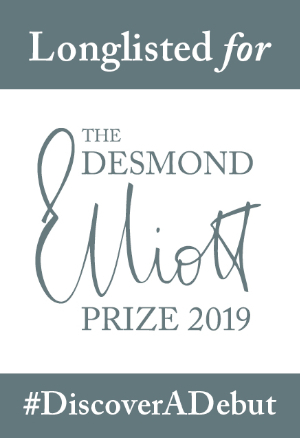 All the titles in this category have been selected and reviewed by our own Lovereading editorial experts but also reviewed by members of our Reader Review Panel, a panel of book lovers across the UK. It’s no secret that I am a fan of Dinah Jefferies and this is as beautifully and vividly readable as one would expect. Slip back into history and join Belle Hatton who travels to Burma in 1936 to become a nightclub singer, accompanying her is a newspaper clipping suggesting her parents left Ragoon 25 years previously in mysterious circumstances. Two time frames sit side by side, in 1921 we meet Belle’s mother, lost and traumatised, while in 1936 Belle finds her life increasingly in danger. I adore the descriptive detailing, you can almost close your eyes and take in a deep breath of a bygone era. The colour of the place and people just pops with intensity. Belle begins a relationship with a man, yet it doesn’t take centre stage, it is important but certainly not the be all and end all of this particular story. There is one unforgettable moment, using an event from history that is shockingly dramatic and provocative, I saw with Belle’s eyes, felt the pain and fear. I feel as though I could pick up a Dinah Jefferies book without knowing the author and would instinctively know it was hers, each book is completely individual yet the style of the author remains. 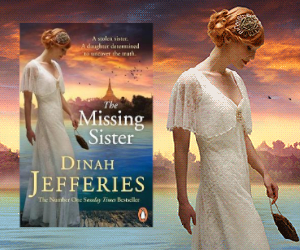 The Missing Sister is richly and expressively eye-catching, it swept me up into the pages, releasing me only at the very satisfying ending. A sharp, dramatic and thrilling tale, prepare the edge of your seat as you might be spending some time there! Maggie wakes to living nightmare, her daughter died in the accident that placed Maggie in a coma, her husband has disappeared, and Maggie remembers nothing about the incident. The prologue in Crown Court, immediately sets the scene and encourages intrigue to run amok. The first few chapters, so short, yet so full of tension ensured my brain tasted and tested every word as I read. Nuala Ellwood intricately sews little pieces of information into the pages, just waiting for you to discover them. Letters appear every few chapters, heart-aching moments in time. I existed in two spaces, part of me just reading and thoroughly enjoying the story, the other exploring and examining thoughts and feelings in detail. Day of the Accident slams with impact, gave my brain a huge workout and is a thoroughly captivating read. An engrossing thriller replete with family drama, psychological intrigue, cunningly-plotted deeds, authentically complex characters and a tree-lodged skeleton at its root. With a good job, adoring girlfriend, loyal mates and wealthy family, Toby is a privileged sort whose life implodes when he’s badly beaten by thieves who break into his Dublin apartment. Left with some speech and mobility impairment and memory loss, Toby decides to move into the rambling family home to be with his terminally ill genealogist uncle. Soon after, while Toby struggles with the trauma and effects of the beating, a skeleton is found inside an ancient wych elm in the garden, and it’s not long before detectives find a connection with Toby. The gritty, authentic portrayal of family dynamics centres around a set of bickering cousins, whose bitter teenage experiences rear their heads as a truly multi-layered mystery unfolds. Toby being a quintessential unreliable narrator adds further tension to the tale, with unexpected twists coming to the very end. This character-driven crime thriller sure packs a powerful paranoia-fuelled punch. A captivating and absolutely thrilling historical tale that sits as a perfect sequel to the first in the series The Ashes of London. Please do start with the first book, it is a stunning read and sets the characters and scene so beautifully. After the Great Fire of London a court is established to judge the cases of discord between landlords and tenants. Suspicious deaths appear to link to the Fire Court, and as James and Cat attempt to find answers, their individual stories become more closely intertwined. After the drama and sheer visual spectacle of the first book, I did wonder how on earth the series would continue, and it is safe to say with great aplomb. The intricate plot immediately wormed its way into my head, slicing, enthralling, and sharply focused. There is one particularly unexpected and shocking moment that quite literally stopped my whole being, I sat in for a moment in silence before continuing, desperate to know more. Will you feel the same, will the words travel from the page, trap your feelings and hurl your thoughts in the air? This is a series that could run and run, The King’s Evil is already calling to me and quite simply can’t arrive quickly enough. The Fire Court has become part of a must-read series for me, it is highly recommended and one of my picks of the month. A stunningly beautiful, courageous read, one that crosses through time to 1612, when witchcraft allegations went hand in hand with fear, power and corruption. This is a work of fiction based on real people, local residents, Pendle witches and all. Let me tell you about the cover of this book, which really is very gorgeous indeed. The green leaves sooth, with fiery bursts of orange-red and gold, I then noticed the fox, the ring, pendant, feather… and last of all, the noose, which of course once I had seen, reached out and became all I could see. I tell you this, because the cover reminds me of how I felt about the book, mysterious, yet almost gentle, I let the words take me, I felt myself floating, and then bites of uncertainty and disquiet started gnaw at my awareness. The persecution of the women hammered home while an otherworldly existence lodged itself in my thoughts, and remains there. Deceptively powerful, moving and provocative, Stacey Hall writes with an eloquent pen. Opening a window into a vivid feast of a read, as a debut novel The Familiars stands out from the crowd. 20th Anniversary Edition When Griet’s father, a notable tile-maker, is blinded she goes to work for artist Vermeer to support her destitute family. She’s an outsider from the start, a poor Protestant in a well-to-do Catholic household who’s regarded with suspicion by her fellow staff, especially when she alone is entrusted to venture into the master’s studio. Soon enough Griet experiences the magic of artistic creation, of seeing colour anew, of seeing everything anew. But, as her passion for art is aroused so too is an ache of guilt as she grows ever distant from her family. Then there’s the attention and lusts of the handsome butcher’s son who seeks her hand in marriage, and the lascivious approaches of her master’s wealthy patron. The intrigue and tension of the Vermeer household, and the ebb and flow of life in a 17th century Dutch market town are described in painterly detail through Griet’s keenly observant eyes as a swelling scandal spills to the outside world from within the duplicitous household. At once a compelling page-turner and a tour de force of tension and coming-of-age turmoil, this novel remains a must-read for historical fiction fans some twenty years after publication. Since its inception Lovereading has taken a different approach to book reviews relying uniquely on the selection and review of books by editorial experts, all of whom have had many years of experience working within the book trade. They know what makes a good read whatever the genre and actually read the whole book before telling you what they think - radical we know, but sometimes old fashioned ways are the best. 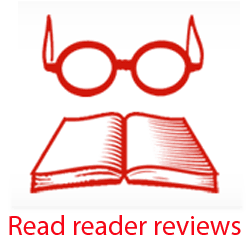 In 2012 however, to complement our expert reviews and human-based Like-for-Like comparisons we decided to invite Lovereading members to join the newly created Lovereading Reader Review Panel. It has been a massive success. We've now attracted over 1000 and 100's of books have now been read and reviewed by them. Many of them have their own book blogs and help us to spread the word of mouth on a book they've enjoyed. Panel members put themselves forward to read and review a book that we have advance copies of and their reviews are then loaded onto the site and complement those of our own Lovereading editorial experts. We're even now receiving feedback from visitors to Lovereading that the 'Reader Review Panel' reviews are as valued as those of our own Lovereading book experts! With that in mind we thought it would be very helpful to everyone if we created a category and put all the books that have also been reviewed by some of our Reader Review Panel members, in one easy to find place. Just click on any title in this category and you will, in addition to the review from one of Lovereading's editorial experts also see a link through to reviews by members of our Reader Review Panel.